Get a FREE $25 Gift Card #998-MEG25 when you purchase 2 Mickey Thompson Sportsman PRO Tire 28X12.5-15LT! 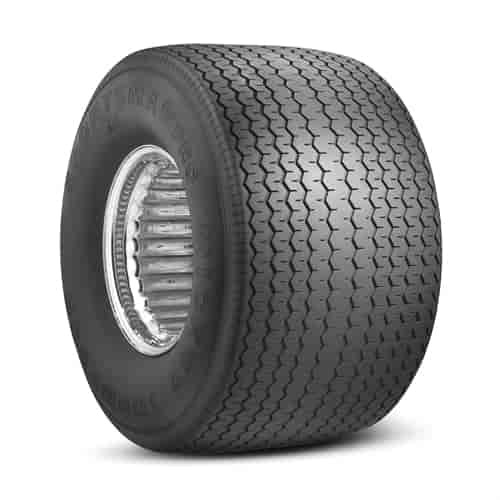 6548 - Mickey Thompson Sportsman Front and PRO Rear Tires is rated 4.5 out of 5 by 2. Rated 4 out of 5 by JBeamer from Good tire on the street I put this tire on on my turbocharged nitrous injected Pro Street 1983 Suzuki. It will never provide the traction of the M/T ET Street it replaced, but is an easier tire to ride on the street. The ET Street tire hooked up like a slick at the drag strip. I had a Sportsman Pro on the bike once before and it went up on smoke at the strip, but I had one on a nitrous only bike a couple of years earlier and it hooked up well. I'm just riding the bike on the street now and neither the nitrous nor the slick-like traction of the ET Street are usable on the road anyway. The tire looks great and the bike.